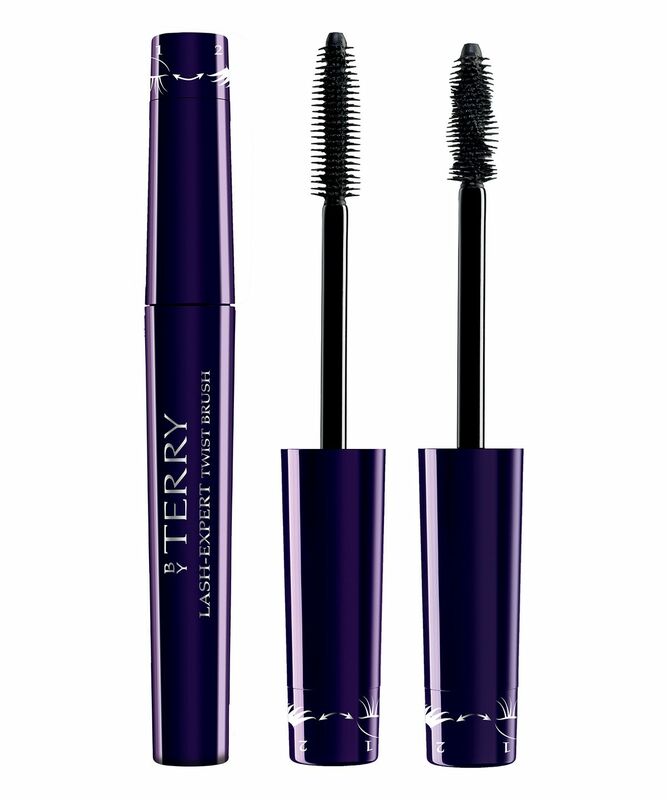 The most innovative mascara we’ve come across, By Terry’s ingenious dual-effect lash enhancer is a total game changer – thanks to its twist-effect brush. The initial wand position provides incredible length, then, with a simple twist of the handle, the brush is transformed, becoming the perfect spiralled shape to enhance volume. The extra-pigmented, super-buildable formula features protective oils (including jojoba and avocado), rich waxes and hydrolysed keratin to moisturise hairs and prevent breakage. Providing two perfect mascaras in one, By Terry’s Lash-Expert Twist Brush is an innovation in lash enhancement. The ingenious brush is the real star of the show here: the original position offers infinite lengthening opportunities, creating long, comfortably stretched and separated lashes. After some volume well? Too easy. Simply twist the handle and watch the wand transform into a shorter, more densely packed spiral-aligned brush – perfect for adding immediate volume and creating thicker, fuller lashes in just a few strokes. As if the brush isn’t tempting enough, the extra-black, pigmented and super-buildable formula features a cocktail of three protective oils – jojoba, olive and avocado – to nourish, lengthen and volumise, three rich waxes – candelilla, carnauba and rice bran – to extend and protect and, finally, hydrolysed keratin to moisturise and prevent breakage. Use the brush in its original position to lengthen then twist the handle to change the brush and use to build volume. This mascara is the worst mascara I have ever bought. And I'm comparing it to really cheap ones.. I wore it at mid-day, and by 6pm, it had already crumbled to bits under my eyes. Absolutely crap. Do not waste your money. Natural looking mascara. It's easy and pleasant to use. Makes your eyes bigger as it twists your lashes. Really love it. Been looking for a good mascara I have tried different ones like Nars, Mac, Dior, Maybeline honestly rubbish they come off and get black my under eyes and all of those clump but this one wow make your eye lashes longer voluminous doesn’t clump doesn’t come off feels beautiful when you apply it I don’t even need waterproof mascara because this one stays!! Finally found the dream mascara! I've been searching forever for the holy grail of mascaras and this is it! My eyelashes have never looked so long or had so much volume! I'd say I have medium length lashes and not much to write home about but since I've been using this the number of comments I get on my lashes is amazing! So many of my friends are using it now. The best mascara I have tried. Amazing! This was recommended by a beauty vlogger and I must say it is absolutely stunning. It is magic, it makes my lashes so full, voluminous and long, especially when you use the second wand (you just twist the lid to change wands before opening) for another layer. This will be a staple from now on. I am very, very hard to please when it comes to mascaras, and this is one of the best I've ever tried. The genius wand twists to transform the shape of the bristles, so it feels like two mascaras in one. 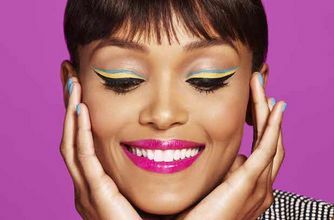 The first position combs and separates the lashes - pefect worn alone for a more natural, fluttery look. Then with a simple twist of the lid, the wand transforms into densely-packed bristles that dispense more product onto lashes and help you achieve a 'can-be-seen-from-outer-space' level of volume. It doesn't smudge or crumble under my lash line like so many mascaras, and since I've been wearing it both my mum and sister have asked what I've used on my lashes and have purchased it themselves! Loved the idea of this and had high hopes but it made my long lashes look stumpy and it crumbled throughout the day. I would not recommend this product and certainly not at this price. Doesn't clump. You can go for very natural or false lash effect. The twisting tip is a very cool gimmick I like it very much. This is the best mascara I've ever tried, volumising, lengthening, very black, doesn't clump up and doesn't make my lashes fall out. Gives a false lash effect without it being over the top. Love it! A few people have said this mascara smudges and runs on a hot day, so I decided to put it to the test. 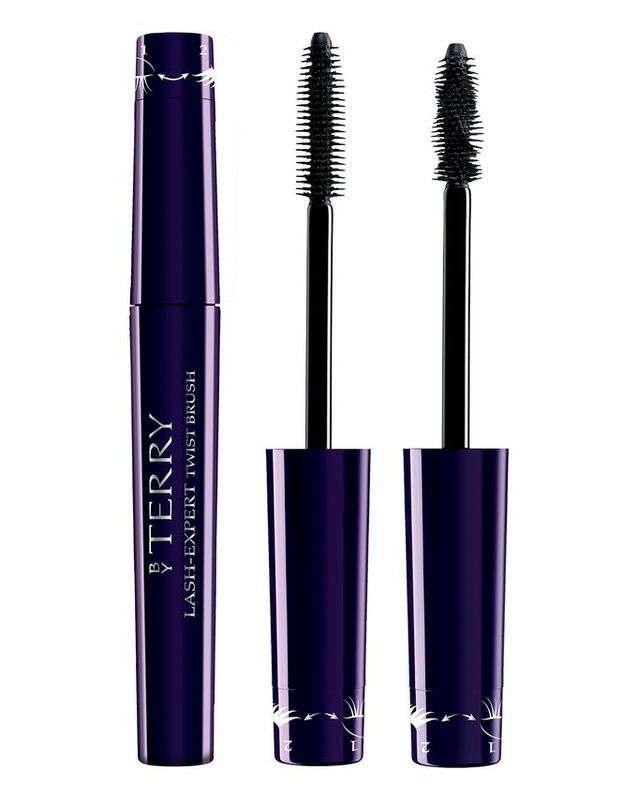 I applied two layers of Terry's Lash-expert Twist mascara before exercising for an hour, outside in seriously UK humidity. Nothing. My mascara looked amazing even when the rest of my face was red and sweaty, and also lasted through a steamy post-workout shower (usually my mascara would be on my chin by this point). Never looking back. I would 100% recommend this product! I love how you can change the thickness your lashes get and the twist mechanics feel smooth and not cheap which I was scared of. I was also really happy with the formula because my lashes are very sensitive/prone to allergies and get very itchy easily but they felt fine with this mascara. Do not look further if you're here to buy a mascara, this is the best. Deep black, creates a false lash effect in no time, no smudging, nice packaging. Just perfect. One of the best mascaras I have ever tried. I absolutely adore this mascara it is my new staple!